Experience with the G20 has, over the years, thrown up a few core issues that the Antalya meet further confirms. These are useful to note. First, the value of a focus on development; second, the contribution of G20's diversity to moderating extremes that tend to create global instability; third, relatively greater success in issues that involve coordination across nations. Emphasising these areas would help G20 make more of a difference. It is widely regarded as having run out of steam after the initial success in a coordinated macroeconomic stimulus. Development: The successive shocks emerging and developing economies (EDEs) have suffered after the global financial crisis (GFC) suggest not enough was done to protect and encourage growth in EDEs. This is now creating negative spill-overs to advanced economies (AEs) themselves. The focus in international discussions and in the G20 had been on how essential it was for AEs to recover in order to sustain global growth. This was ironic because the G8 had expanded to G20 precisely to give more voice to EDEs whose economic clout was growing. Even in 2013, when the fear the US Federal Reserve would begin tapering off quantitative easing (QE) led to a surge of capital outflows from emerging markets (EMs), the dominant view was the AE recovery could withstand an EM slowdown. But in 2015, it had become clear that EDE growth is a major driver of global growth. Fears are voiced that this third shock will once more fell global growth, because AEs account for only about 43 per cent of global GDP in 2015, down from 54 per cent in 2004. Therefore, a criticism often heard that the G20 development agenda is a diversion is misplaced. Development must form one of the centre-pieces of G20 action. A proposed action is easier when it can be shown to benefit all countries. In areas such as development, a consensus could not be built because of the perception that measures that EDEs wanted did not benefit AEs much. This perception is now changing. When the QE-led commodity and currency fluctuations are hurting global demand and trade, a thrust on EDE infrastructure can revive both. The World Bank and G20 have not delivered on promised infrastructure investment in EDEs. More competition and differentiated strategies from new institutions, innovation in credit enhancement and in information provision may improve future outcomes. Although the Chinese-promoted Asian Infrastructure Investment Bank will follow international governance standards, small changes such as the absence of an intrusive resident board may allow it to make faster decisions. Coordination: G20's major successes have come in areas involving international coordination, such as the initial macroeconomic stimulus and the base erosion and profit shifting (BEPS) initiative on taxation of cross-border capital flows. It can therefore make a big difference by cementing global coordination in a number of areas. Coordination is productive whenever outcomes are better if countries act together. A demand stimulus from one country alone would not have a global impact. Finance for terrorism cannot be stopped unless all countries share information. Nations working together can implement changes that one nation alone cannot. In areas such as cross-border flows, if a country applied stricter norms for firms by itself, they would shift to other countries. Unilateral action can be costly for a country as well as impose costs on firms such as through arbitrary tax actions. But, especially in EDEs that want to attract foreign direct investment (FDI), the norm is to give competitive concessions, although these do not work, since everyone is doing it. Tax treaties that were meant to avoid double taxation of MNCs, to encourage cross-border flows, were used in aggressive tax planning, making double non-taxation possible. Therefore a course correction is required - but is possible only if all nations agree to implement the changes together. BEPS is building global norms and agreements to ensure that taxes are paid where profit is earned, even as transparent, predictable, business-friendly tax practices are adopted. Diversity & Moderation: Course correction and moderation, to reduce sovereign power yet not increase MNC power too much, is required in bilateral investment treaties (BITs) also. One-sided regulation that favours firms too much can be unstable, as the GFC demonstrated. 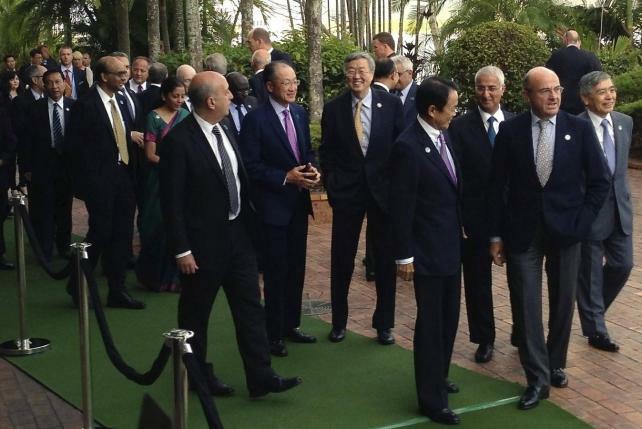 Financial reforms the G20 is championing aim to strengthen lax regulations that contributed to instability. Tax reforms are also moderating cross-border taxation agreements that favoured firms too much. When capital-exporting nations set global rules, they are more likely to be unbalanced. The greater diversity of G20 allows representation of a wider range of interests, and can result in more balanced rules. These promote stability that ultimately helps MNCs also. Resources tied in tax planning and misallocated in non-commercial arbitrage, are costly for MNCs themselves. For example, since profits made abroad are not taxed if they are reinvested, firms tend to borrow at high cost and increase their balance sheet size in order to defer tax. FDI does need to be reassured that there will be no arbitrary exercise of sovereign power. Regional and bilateral agreements are meant to ensure this, and encourage potentially productive investment inflows. AEs such as Netherlands and Australia have also become more cautious in designing their BITs, after cases such as Philip Morris Asia initiating an investor-state dispute settlement (ISDS) claim in 2011 over Australia's law requiring plain packaging for tobacco products. Thus BITs have become a way for MNCs to take home large awards against regulations that restrict their profits even if the regulations serve a public purpose. Australia's White Industries won a large award from the Indian government against delay in Indian courts by importing a most favoured nation (MFN) clause from India's BIT with Saudi Arabia. Domestic firms have no recourse against such delays. Rethink is due on clauses on ISDS, MFN, public welfare, and environment in BITs to ensure fairness, transparency, and a balance of power. ISDS arbitration tends to be done by a small, non-diverse non-transparent club. Umbrella clauses need to be avoided in BITs, with exemptions provided for other valid policy objectives. Trans-Pacific Partnership (TPP), for example, imposes Western regulatory norms on EDEs that need to strengthen complimentary institutions before they can be applied. It strengthens MNC power too much by even allowing companies to sue sovereign powers that erode their profits. There are many provisions against the exercise of state economic power. TPP would enforce these provisions over those in bilateral treaties such as BITs. Some features of TPP, such as prohibiting preferential treatment of state-owned enterprises, strict provisions on intellectual property, environmental and labour protection while inviting investments, may also require a longer lead time and some adaptation in EDEs, but would eventually contribute to improving their regulations. Indeed, the Regional Comprehensive Economic Partnership (RCEP) should not be seen as anti-TPP, but as allowing the Asean + 6 countries the time needed to strengthen their institutions and reduce regional trade barriers, so that they eventually join a moderated TPP. Flexibility in RCEP should not prevent standards from improving over time. Complementary domestic policies are also required in the absence of domestic trade facilitation improvements, India has not benefitted from the large number of bilateral Asian Free Trade Agreements it has signed - its imports have increased faster than exports. Improving ease of doing business and infrastructure is essential. For example, India's per-container trade costs were more than twice the East Asia average in 2014. It needs to focus on these, even as it actively works with regional trade agreements that allow space for development, yet could eventually fit into a revived WTO. Do Gunners have the Arsenal to qualify for Champions League play-offs?